We take a look at the reasons why Cloud-based, rather than on-premise CRM has fast become the preferred option for customers. 85% of our Dynamics 365 Education clients have their CRM based in the Cloud and this is growing every year. Firstly, what does Cloud-based CRM mean? Hosting your software in the cloud essentially means that everything, from the program itself to your data, is stored online. Using the cloud means that you don’t physically own the software you’re using, and it’s not run from your computer. Rather than purchasing a copy of the software and installing it on individual devices, you access it through the internet, in the same way that you’d log in to an email service provider website, like Hotmail or Gmail, to access your inbox, and draft and send messages. With a cloud-based Dynamics 365 CRM for example, the software “lives” on Microsoft’s servers, so all you need is an internet connection and a web browser. This means that Microsoft is primarily responsible for maintaining all of your software infrastructure from their end. This includes managing security measures, issuing updates, and performing data backups. The belief that a CRM comes with complex installation process is no longer valid. A modern Cloud-based CRM does not need in-house technical expertise and you can be up and running in no time. All you need is the internet connection. The ease and speed in which cloud-based CRM can be installed and implemented is a major factor in their success for many organisations requiring an effective solution without having to wait. Companies that offer CRM systems online take security issues very seriously. In the end – it is they who are responsible to protect the confidential information that you trust them with. It’s not surprising that information security levels at Cloud servicing companies are much higher than those provided by an average local IT room. Providers of Cloud CRM also offer advanced automatized back-up policies and have clear data recovery plans if a breach happens. Nobody wants to even imagine a possibility that a system that you rely on every day can crash. With Cloud CRM such situations almost never occur, as all parts of the Cloud are backed up. Meaning that every component, for example – a server, has multiple replicas in the Cloud. So, if something fails, it will be immediately replaced and the system won’t get disrupted. In fact, a web-based CRM system continues to be operational 99.99% of the time. The anytime, anywhere nature of Cloud CRM solutions is probably one of the biggest changes to come to CRM systems. Being able to log in from anywhere (providing you have a compatible device and internet connection) means that accessibility has greatly improved many working situations. Perfect for mobile workers and out of hours projects, being able to access everything that you can in an office environment – remotely – means greater efficiency, faster reactions and the ability to make changes and act on new information in an instant. 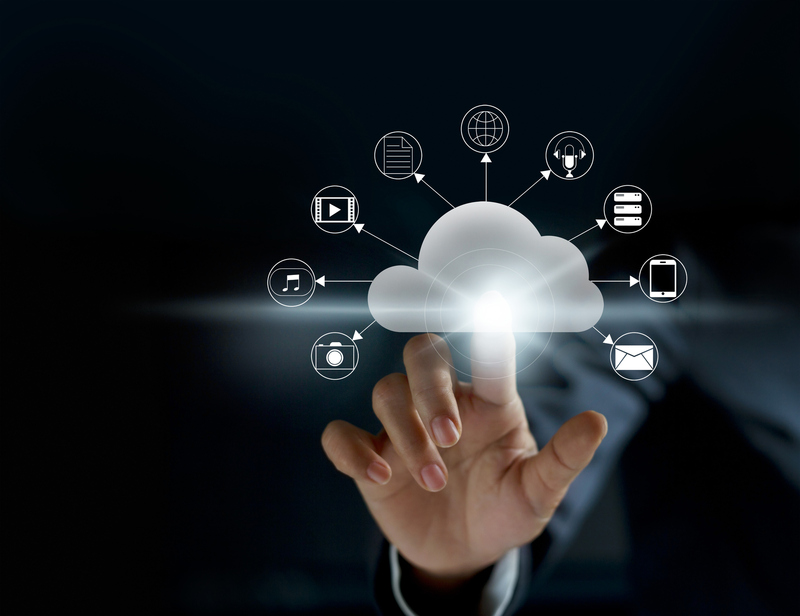 By always staying connected to the central database, a Cloud CRM gives you the flexibility and freedom to do what you need to do when you need to do it. As with many online platforms, practicality comes in the form of speed. The real-time nature of updates means that Cloud based CRM users are always using the most up-to-date version of the software, benefiting from fixes, updates, and changes as and when they happen. That means no more having to wait around for downloads and re-installations or working from legacy software. Cloud users can scale the size and scope of their Dynamics 365 solution up or down at any time. With on-premise software, facilitating business growth often means investment in new servers and processors to cope with increased demand. With cloud-based software, customers are paying for the ability to use the software, and not the computing power or space to run it, so adding or removing users, or even apps, is as simple as issuing a service request.